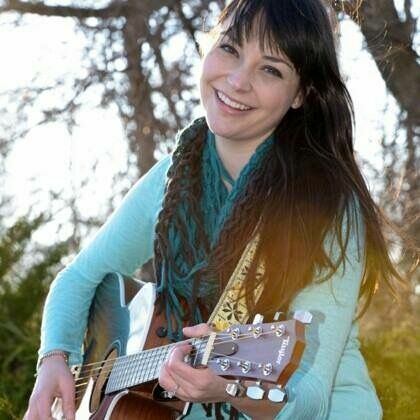 Danielle Lee started out as a small town Hoosier girl who now lives in Nashville, TN. Danielle grew up in a musical family. Her grandfather twanged on that guitar while her mom sang every country song she knew. At the age of 10, Danielle picked up her first guitar and the first song that she played was Johnny Cash's Folsom Prison Blues. Danielle's influences were Johnny and June Carter Cash, Shania Twain, Dixie Chicks, and Alison Kraus. The love of music flows through her veins while she plays the guitar, mandolin, and ukulele. Danielle loves to be on the road and meet new fans and friends. You can tell in her music she pours her heart into her songs to bring love and happiness to all who listen. Other than music, she has a passion to act in the film and TV industry, which she has already starred in many short films and has been an extra in CMT's show Nashville. Before she became a country music performer, Danielle already had a large amount of stage work on her life's resume. Throughout high school, Danielle took part in 4 choirs, and performed and starred in her local theatre groups. In her junior year of high school, she auditioned and then was accepted to study at an Off-Broadway workshop in New York City. She was trained by the theatre and film industries' top actors and casting directors and performed on an Off-Broadway stage downtown NYC. In 2014, Danielle graduated from Indiana University with a BA in Theatre and Drama and a Certificate in Arts Administration. After graduation, Danielle moved to Music City to fulfill her dreams as a singer and songwriter.